Sending a package or product to another continent can seem like a daunting task when it’s happening for the first time. But, by following a few simple steps, it can be as easy as domestic postage to send a package to the USA from the UK. This guide is designed to be a good place to start for sending your parcel, but as always, make sure you check local restrictions as these may be subject to change. How can I send a package to the U.S.? Sending your parcel to America needn’t be a cause of stress. As long as you’re not sending a controlled or prohibited substance – firearms, alcohol, meat etc. – the process is relatively simple. 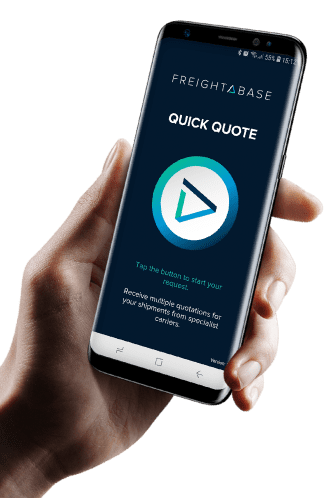 If you want something shipped safely and securely, there’s no better way to do it than by using Freightabase. Freightabase is an online comparison tool and makes it easy for you to send any package – large, small or specialist – to the country of your choice. With a database of freight companies covering more than 200 countries worldwide, you can enter the details of your package and a selection of couriers with relevant expertise will come back to you with a quote. Not only this, but our features expert shippers will be able to provide you with a full guide and list of specifications that ensure your parcel arrives at its Stateside destination in excellent condition and as expected. Read on for further info on some of the things you need to think about. Customs regulations. If you’re based within the EU, you will need to fill out and attach a customs form to your parcel if you’re sending it to any country outside the EU. These forms can be found online and printed at home, or at your local Post Office. 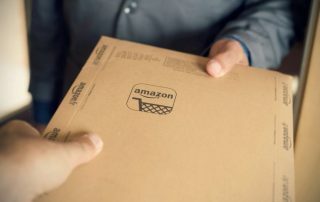 You’ll firstly want to ensure that your parcel doesn’t contain anything that can’t be sent legally – see the ‘Is there anything I can’t send?’ section for further detail. If the goods you are sending are worth anything up to the value of £270, they will require customs label ‘CN22’. This is a form which needs to be signed by the parcel’s sender and attached to the upper left corner of the item, and the sender’s full name and address should be written on the front. If the items are over the value of £270, the form needed is a CN23. Packaging is another very important consideration. A letter or postcard, or any ‘flat-packaging’ item can be sent easily, but packages should be properly wrapped to ensure they meet specifications. Parcels should be boxed, preferably in a shipping box which is built for purpose rather than a shoebox, for example. This is predominantly to ensure your items don’t arrive damage, and it also ensures that the box is easier to stack and moves through the processing system without issues. If you’re reusing a packaging box from another shipment, be sure to remove all of the previous address information and personal details, or black them out. Contents inside the box should be cushioned – particularly if the item is fragile – and shipping-issue bubble wrap is recommended. There shouldn’t be too much empty space inside the box, as this increases the chance of the box being crushed. Addressing your items adequately is another consideration that needs special attention. The United States are huge, so if you get something wrong, it’s highly unlikely that your package will ever make it to the right destination. The sender’s address should be written on the same side, and if it’s handwritten it must be in permanent marker. To export goods to the United States, you’ll need to comply with State and National laws, and if you don’t comply, your goods could be held at customs. The U.S. Customs and Border Protection service enforces the laws around prohibited items. Prohibited items are those which are considered to pose a risk to public or environmental health, safety, or would defeat national interests. Live bees, bird’s eggs, opium, narcotics and radioactive chemicals are examples of items which can’t be sent. There is also a list of restricted items which can be exported to the U.S. under certain conditions, including alcohol, medication, plants, seeds and soils, and weapons which all require a licence or permit. Things like perfume are also subject to meeting certain conditions, so make sure you check what restrictions apply. Additionally, there are a number of countries which are prohibited from importing merchandise to the US: Cuba, Iran, Burma and Sudan are some examples.